What is the best way to connect the TS8 to the power base.? 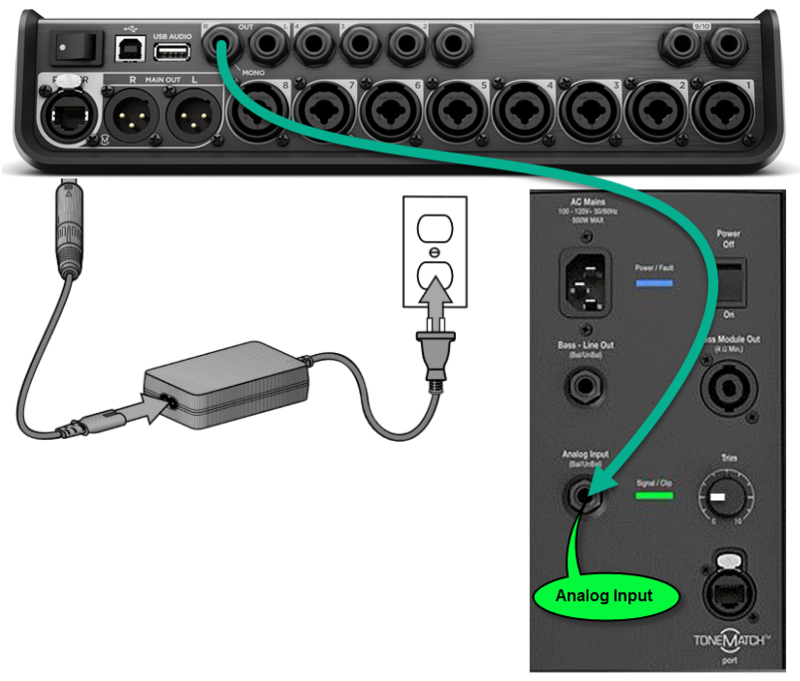 On the TS8 I see two outputs: (XLR R&L one marked as "M") I assume that means mono? There is also two 1/4" jacks w/one marked "mono". I am only using one L1 Model 2 tower and only see one input on the base. I just purchased two cables (one is the TRS to XLR (female) and the other is same company (Mogami) a 1/4" TRS to 1/4"TRS. I don't want to compromise the quality of the sound so please let me know the best way to integrate the Tonematch 8 to the power base unit. Thanks in advance. What is the best way to connect the TS8 to the power base.? Please click the picture to see more details. On the TS8 I see two outputs: (XLR R&L one marked as "M") I assume that means mono? Click the pictures for more information about ToneMatch Presets. There is also two 1/4" jacks w/one marked "mono". Yes, you can use that output. I am only using one L1 Model 2 tower and only see one input on the base. I just purchased two cables (one is the TRS to XLR (female) and the other is same company (Mogami) a 1/4" TRS to 1/4"TRS. Either one is fine. I prefer the second one because I don't have to keep track of which end goes into each device. The cable is reversible. You can keep the first one as a spare - or return it. I don't want to compromise the quality of the sound so please let me know the best way to integrate the Tonematch 8 to the power base unit. Thanks in advance. Please read how to connect the T8S to the L1 Model II for all the details. And see T8S ToneMatch® Mixer for more information. edit: I see that CityFolk and I must have been typing at the same time. He types faster.